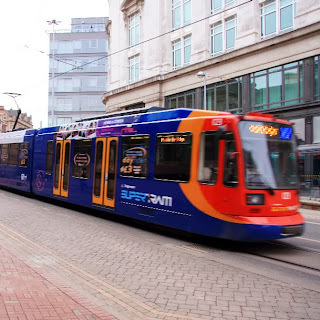 It may have opened in 1994 but spending on the building of the Supertram system in Sheffield is set to carry on until 2034 with transport bosses proposing an unusual accountancy procedure with a number of risks to try and reduce the burden for the region's local authorities. Sheffield's Supertram system cost a reported £240m and now serves major residential and employment sites in Sheffield. One of the first group of modern tram systems to be built in the UK, the assets are owned by the South Yorkshire Passenger Transport Executive (SYPTE) with the services operated by Stagecoach. A £60m extension is set to see innovative tram-trains join the system between Sheffield and Parkgate via Rotherham town centre from 2016. The SYPTE still has a deficit of £30.5m on its general reserve budget with a significant part of this relating to capital expenditure incurred by the PTE as part of the construction of the Sheffield tram network. The SYPTE and Stagecoach Supertram are currently funding a major programme of rail replacement works on the network, with the majority of work being undertaken during the next five years at an estimated capital cost of £32m. The deficit means that around £3m of the executive's £84m total annual budget is being spent on covering the debt and, at a time of budget cuts, a new accountancy procedure is set to reduce this burden. The South Yorkshire Integrated Transport Authority (SYITA) is the locally accountable body responsible for the strategic direction of transport planning and delivery. The SYPTE works in partnership with the local councils and transport service operators to manage public transport infrastructure, run the local bus, train and tram services and provide walking and cycling routes. Funding comes from the government and levies from South Yorkshire's four local authorities. The SYITA has this week approved proposals to make a £30.5m capital grant to the SYPTE to cover the deficit with the aim of reducing the levies that councils pay each year. Steve Pick, clerk and treasurer at the South Yorkshire Joint Secretariat explained at the authority's final meeting before its role moves to the new combined authority, that due to different accounting requirements, having the debt sit with the authority rather than the executive would enable the repayments to be extended for a further ten years, reducing the annual levy by around £1.5m. However, the report by Howard Brier, technical and treasury services manager at the South Yorkshire Joint Secretariat, explains that advice has been sought from the Chartered Institute of Public Finance and Accountancy (CIPFA) and auditors from KPMG, and that further legal counsel is being sought due the risks of the grant. The main risk is that, if for some as yet unknown reason, the £30.5m grant is deemed unlawful then it would fall to the local authorities to pick up the shortfall in funding. This would come at a time when the SYPTE has put forward plans that aim to make savings of around 10% to their annual budget impacting on concessionary services, community transport services and free bus services in the Sheffield and Rotherham retail areas.